Now taking Bookings For New Year 2018 – Book 30th and 31st December 2018 £30 Per Person includes Bed, Breakfast and Buffet on New Years Eve. Please Call for Child Rates. Book direct with The Boyce Hotel in 2018 for better price deals! 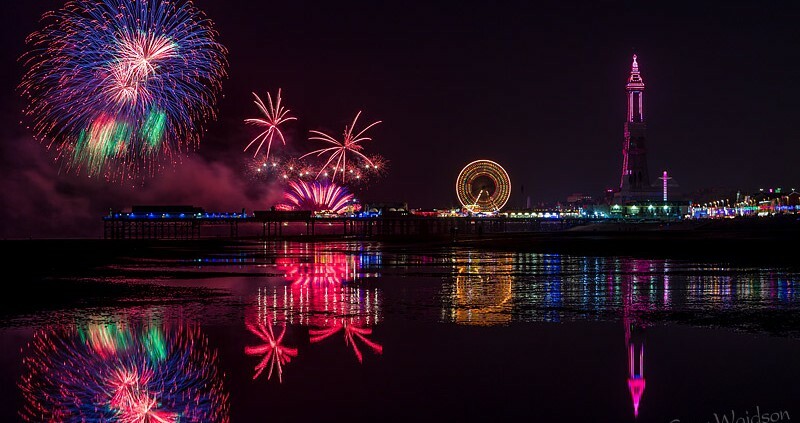 Don’t Forget to Visit Blackpool Illuminations and stay overnight, enjoy the International Fireworks Display every Friday through September each year. Book direct with The Boyce Hotel for better price deals! Slime Fest coming again in October 2018 after 2 successful years in 2016/2017. Book now for New Years Eve 2018, £30 per person per night including breakfast and buffet on new years eve. Review us now on Tripadviser. Call the Boyce Hotel direct and save money on your break away in 2018. Celia, Bill & Family offer a warm friendly welcome at the Boyce Hotel. Our family run hotel is still forever popular with regular visitors and welcomes all new visitors. We are very proud of our hotel and the service we offer, we are situated in Central Blackpool at heart of the entertainment and shopping areas of the town. We are within easy walking distance of the Promenade, Sea Front, Blackpool Tower, Winter Gardens, Theatres, Hounds Hill Shopping centre and main car parks etc. The Sandcastle-Waterpark and the Pleasure Beach is only a 5 minute tram ride away. 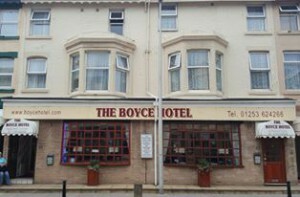 The Boyce Hotel, offers a warm and friendly welcome with all the comforts of a home and business. We have 20 modern decorated comfortable and cosy bedrooms suitable for couples and families alike. Every bedroom has en-suite toilet and shower facilities, colour TV, double glazing, tea / coffee making facilities, bed lights, duvets and full central heating. Hairdryer’s available upon request. See our Special Offers page! We are pleased to announce we are still offering our 5% Discount for all NHS Staff (Proof Required on Check In or Full Payment will be Applicable) all way through 2018. We pride ourselves in offering value for money, both with the quality of rooms and facilities, and the level of service offered during your stay. Friendly, family run hotel where we like to accommodate the needs of all our guests. Read the reviews on our testimonials page to see the what we mean. 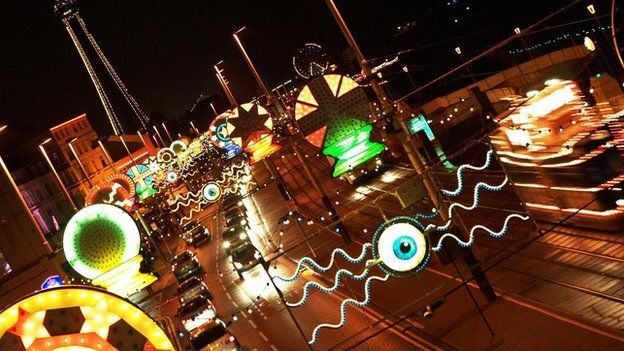 Situated in the centre of Blackpool, you are never far from any of the towns famous attractions. 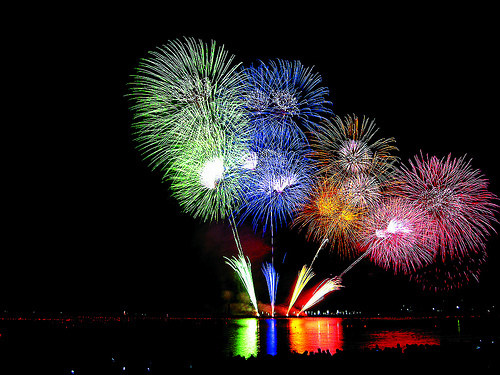 See our attractions page for a comprehensive list. The Boyce Hotel welcomes groups & contract workers, offering competitive rates. The hotel has a reputation for providing clean, comfortable accommodation in a friendly atmosphere catering for families, couples and senior citizens. Welcoming responsible groups. Boyce Hotel is Ideally situated for all events including dance competitions and can accommodate conference meetings. Tailored Group Bookings – we welcome groups large or small, please telephone for further details. We can also facilitate our communial areas for any special occasion or party.